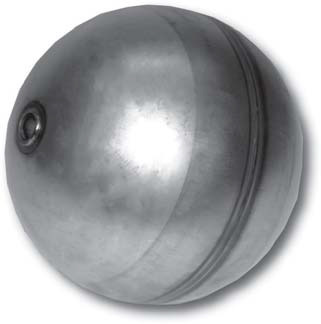 6” stainless steel float ball with 1/2” bore tube used on Vactor® and Vac-Con® machines. Connects onto a slide rod to monitor debris tank capacity. Vac-Con® P/N 690-0745.